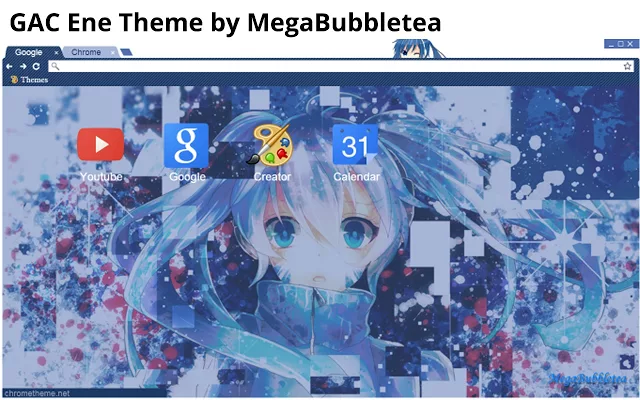 I think I forgot to make a post for my latest Chrome theme that I created specifically for the Google+ Anime Community. Well here it is! 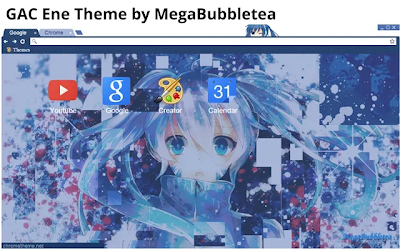 The 'GAC Ene' Google Chrome theme. Enjoy!